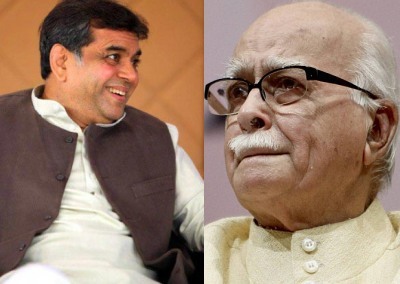 In what could stoke fresh controversy in the Bharatiya Janata Party after the row over L K Advani's ticket, the party today replaced his loyalist and sitting MP Harin Pathak with actor Paresh Rawal from Ahmedabad East Lok Sabha seat. In the list of fresh nine candidates announced on Saturday, Rawal's name figured for the Ahmedabad East constituency, a seat being earlier considered for Narendra Modi himself. The BJP also decided to field state office in-charge of the party, Alok Sanjar, from Bhopal seat, after party veteran Advani decided to contest from Gandhinagar seat. The Bhopal seat was vacated after senior party leader from the state, Kailash Joshi, quit in favour of Advani. Former Madhya Pradesh Chief Minister Uma Bharti, who has been nominated by the party to contest from Jhansi Lok Sabha seat in Uttar Pradesh, is also reported to have staked claim for the seat. In the fresh list of candidates, sitting MP Prabhatsinh Chouhan would again contest from Panchmahal LS seat and former MLA Deep Sinh Rathore will contest from Sabarkantha. Two sitting MLAs -- Rajesh Chudasma and Debusingh Chouhan -- would contest from Junagadh and Kheda Lok Sabha seats, party general secretary Thawarchand Gehlot announced. In the list for Madhya Pradesh, former Minister Laxmi Narayan Yadav was fielded from the Sagar Lok Sabha seat and another former Minister Nagendra Singh from the Khajuraho constituency. District president from Mandsour, Sudhir Gupta has been given the party ticket from the Mandsour Lok Sabha seat.